Delivering high-quality software solutions that companies can rely on to turn ideas into reality. Our enterprise, web design and mobile solutions are engineered to optimize your business. Need a marketing agency? We are a Web Design, Custom Software and SEO Company in Mobile AL and we'd love to work with you. From custom software solutions, web design, and mobile app development to brand strategy, graphic design, and SEO, we do it all at Next Level Studio. Let us take on your next project and take your growing business to the next level. We love to create beautiful websites. By utilizing the latest web languages and frameworks, we are able to create an elegant and modern web presence for you and your business very quickly. From logo and graphic design to marketing and SEO, we will use every possible tool and do whatever it takes to make sure your business succeeds and continues to grow. Have an idea for an app? We have you covered. Our team of mobile developers can create any idea you have on both the iOS and Android platform. Whether it's a web application or a desktop program, we can build it. Streamline unique workflows, automate complex processes and reduce manual steps with a custom enterprise application. We offer a wide variety of hosting plans through our own state-of-the-art data center as well as our many cloud providers. Whatever you have, we can host it. 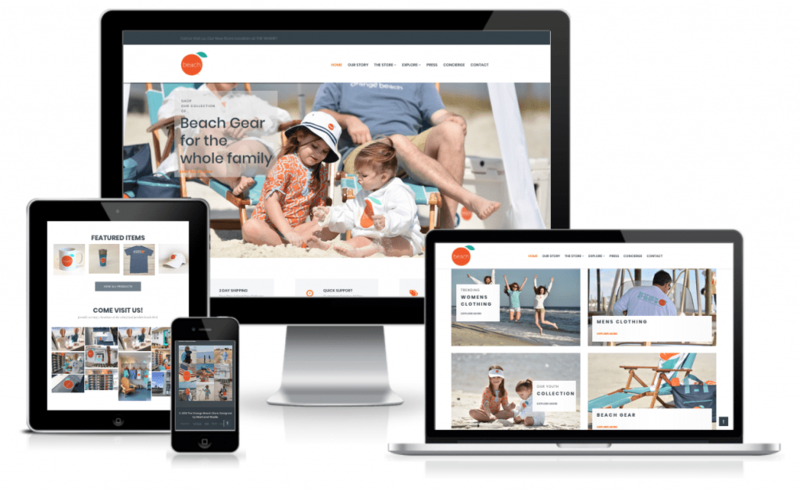 The Orange Beach Store was perhaps our most exciting web design project of 2018. The core values of the Orange Beach brand almost align perfectly with ours and we believe that had a lot to do with why the project was a success. The Orange Beach Store isn’t just merchandise, but celebration of a manner of living. That’s why every design and product line is carefully chosen to be just as authentic as the place that inspired it. After years as a merchant in her hometown with the Fairhope Store, Lisette Normann brings that same sense of style to the beach community she makes a second home. Our primary goal for this project was to portray these ideals to web visitors through a modern and sleek user experience. Amazing staff who cares about meeting their clients needs! They are very responsive and attentive to detail and aim for exceeding expectations. Our small business needed a new CRM tool. These guys built a hosted solution around our needs. It’s been an excellent custom software solution for us. We were in a bind and Next Level Studio developed us a website , could not be happier with service , quality and professionalism. Knowledgeable, professional and affordable. Very positive experience with Next Level Studio. If you want responsive web design with a modern feel or state of the art custom software solutions, you should look no further. After 5 years with another web company I reached out to Will and Connor. It’s amazing what a different experience. I did not know how bad my previous service was until moving over to Next Level. Give them a shot to earn your business. You won’t regret it.